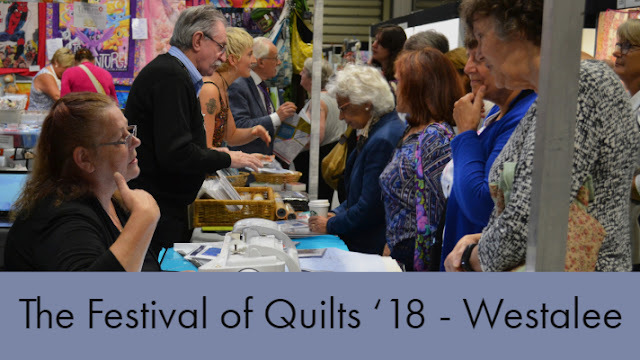 With the Festival of Quilts less than a month away you might want to consider what we're not bringing to Festival so that you can get your pre-order's in and save on postage. 1) Wadding - We do not bring any of our huge wadding selection along to Festiva; it's just too bulky! Therefore, if wadding is on your list then you can get it postage free if you pre-order now and we'll bring your order along on the day. 2) Non Free Spirit Fabrics - As you may well know by now, the majority of our fabrics at the Festival are Free Spirit. 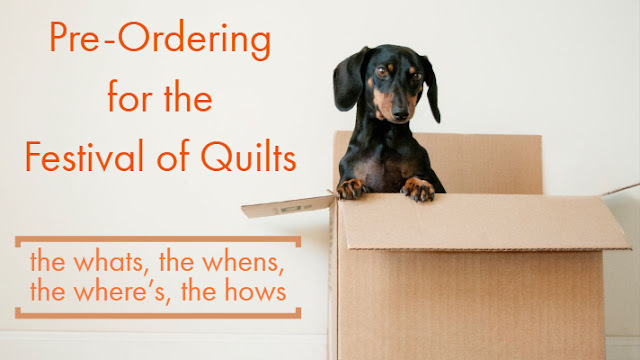 If you are looking for specific fabrics that we sell that are not Free Spirit, pre-order them online and we will bring them cut and ready for you to take home. Please note we do not bring every Free Spirit range, so if you're unsure whether we'll have it with us or not, please email us your enquiry (mailorder@cottonpatch.co.uk) and we will do our best to let you know. 3) Haberdashery - If you are looking to save postage on your usual haberdashery top ups and you're not sure whether we will be bringing them with us to the Festival please email us your enquiry (mailorder@cottonpatch.co.uk) and we will do our best to let you know if you'll need to pre-order it or not. 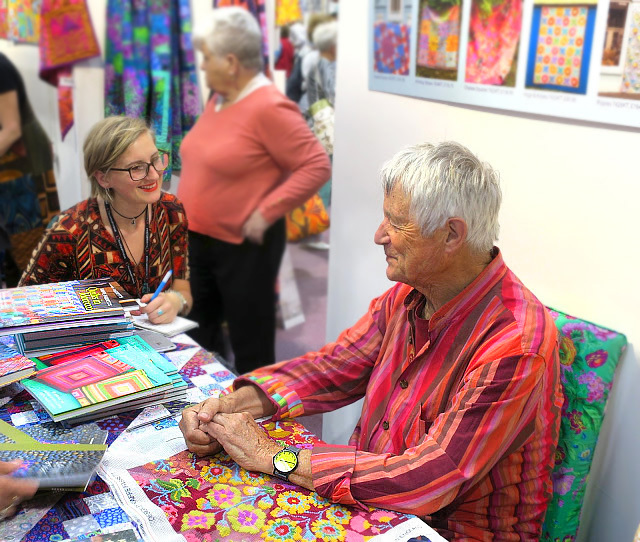 The Festival of Quilts runs from the 9th-12th August. All pre-orders must be made by Monday 6th so we can have you order complete in time. You can collect your order anytime on the day. At the Festival, we will be on stands B21, C20 and C21. 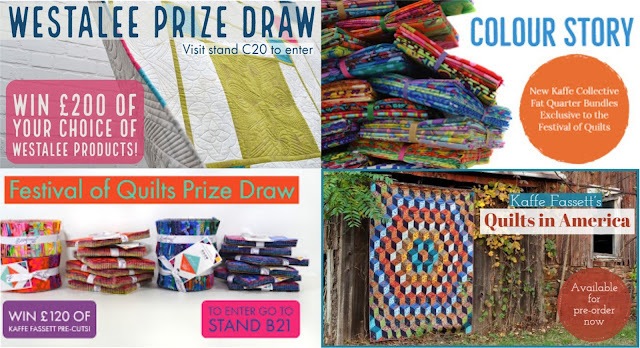 Head over to B21 to collect your order; simply give your full name to any Cotton Patch team members working on the stand and they will retrieve your order for you. Please have your email confirmation ready on a device or print out. Please double check your name and that you have everything you ordered before you leave the stand. 1)To pre-order your items, head to Cotton Patch and add all your goods 'To Basket'. 2) Double check the quantities and choose 'Checkout Now'. As you can see the shipping might automatically be added - ignore this, it will change. 3) Enter your details. Please double check your last name and number as we will need this for your pre-order and in case we have any problems. Make sure you tick the box if you are not signed up to our email newsletter and want to hear about our latest news, offers and products. 4) When you get to 'Shipping and Tax' click the drop down list. Note it will automatically be on Standard delivery - you will have to change this! 5) Select the 'FOQ 2018' with the date you will be at the festival and looking to collect your order. Note: we will only be bringing your order on the date you have clicked so if you are coming on multiple days make sure you chose the date you will definitely want to pick your parcel up on. 6) As you can see the total amount will have changed and the postage will be £0. Please double check the day you have selected of pick up before continuing. If you have selected the wrong day just click 'Change'. Continue with the rest of your order payment etc as normal. 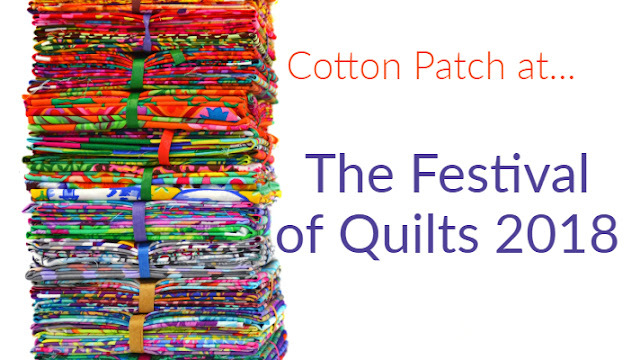 Here's a little teaser for what will be happening on the Cotton Patch Festival of Quilts stands. 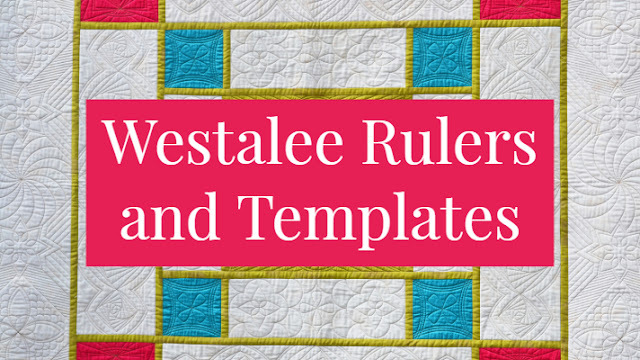 For a sneak peak of Quilts in America click here! To find out the top products we'll be taking to Festival with us this year, click here. 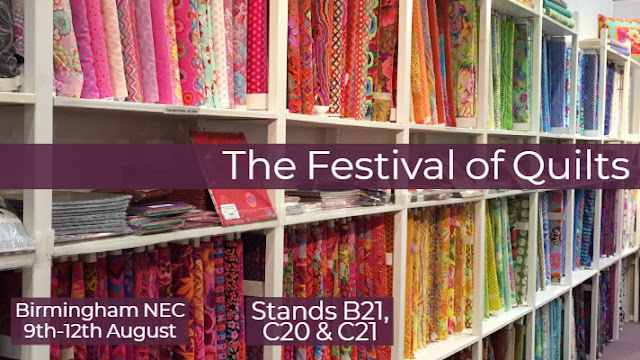 If you have any questions or queries about pre-ordering for the Festival of Quilts please do not hesitate to get in touch. We look forward to seeing you there!